I'm a little shocked that I've decided to join a challenge. I'm part of a few great challenge groups already and I've been sitting them out because I haven't been feeling it. Even the easy ones seem like such a big commitment lately and I've been having a good time posting whatever my crazy brain thinks up. For some reason this challenge just clicked. Most of all, I like that it pairs up a color with a technique. It gives a bit more direction while still leaving a ton of room for creativity. 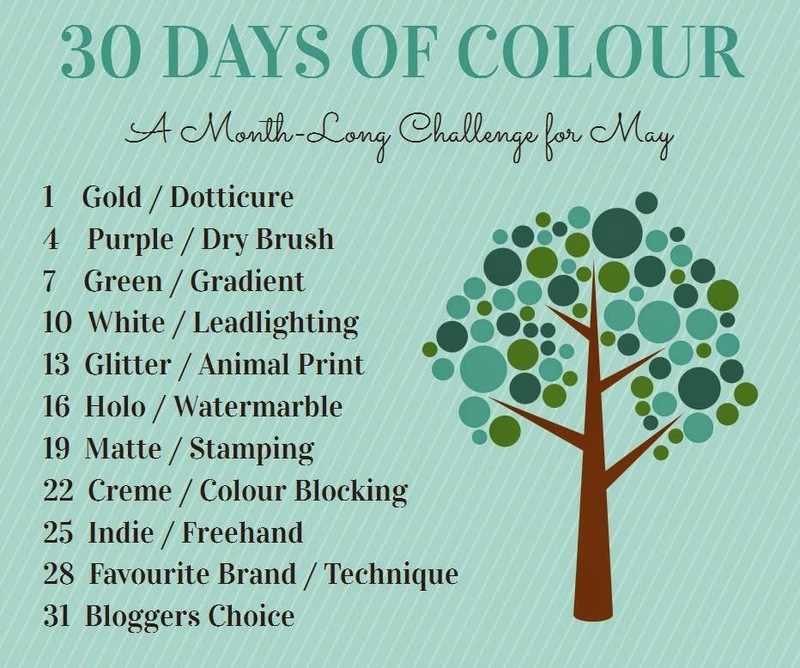 I'm starting a day late, but it seems like a nice laid back challenge which is also really nice. Fingers crossed I'll have enough energy to complete everything. This challenge is the creation of Katherine of ProcrastiNails. You can read more about it here and join in if you'd like. I love Katherine's blog and can't wait to see what everyone comes up with. 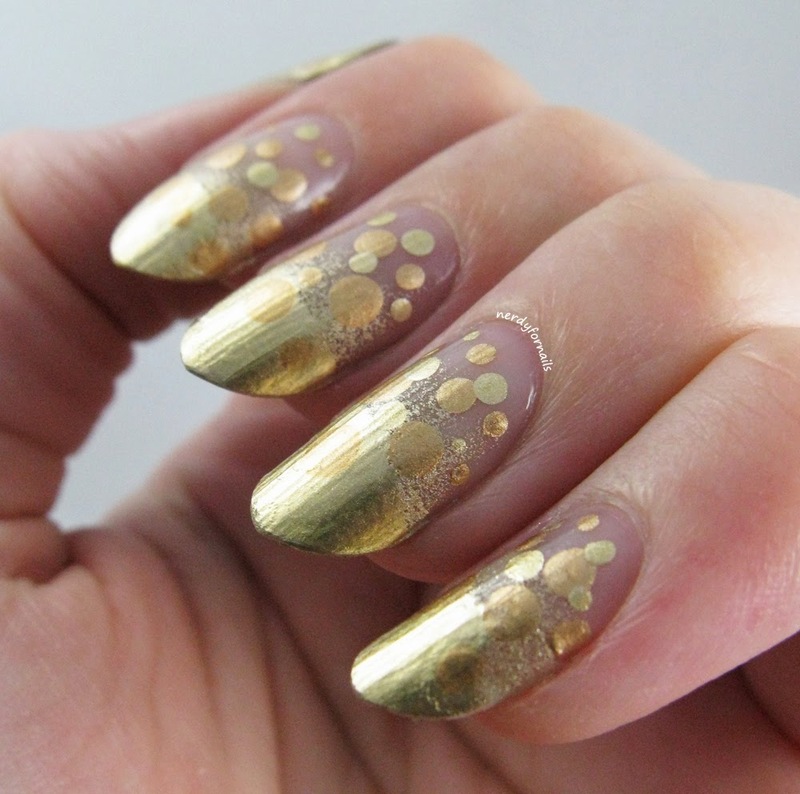 The prompt for today is Gold/Dotticure. I've combined both in this negative space manicure. I sponged on a gradient leaving the top part of my nails bare with Sally Hansen Color Foil in Liquid Gold. 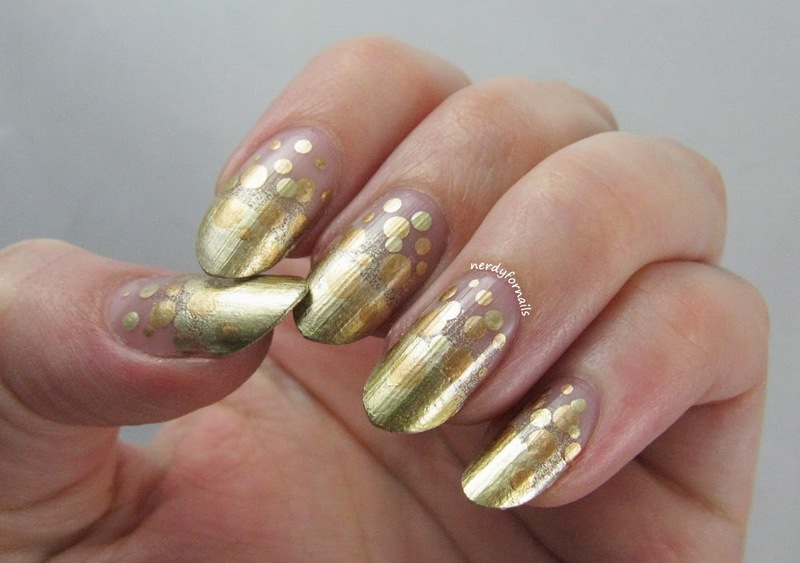 I used two different sizes of dotting tools to make large and small dots with Liquid Gold and Maybelline Color Show, Bold Gold. I really like how the two tones of gold look together. This one kind of reminds me of champagne. It's a very fizzy, bubbly kind of manicure. I love how this turned out. :) I have both of these polishes too and it's nice to be able to compare them together in the same mani!